CABIN 1 - This charming 2 bedroom cabin is adjacent to a large grassy lawn perfect for outdoor games, including sledding in the winter. 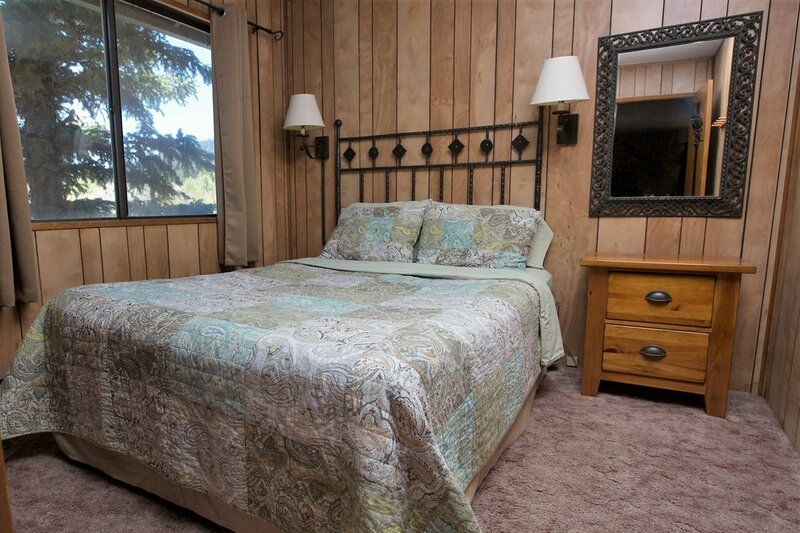 The large deck has views of the Greer Valley, and a forest of Ponderosa Pines and Aspen peaking with fall colors in October. Just outside your door are green meadows with horses grazing and wild flowers blooming in the spring. Cozy up to a wood burning fireplace in the open living and dining area that includes a well equipped kitchen. Enjoy Dish satellite on a flat screen TV or watch movies from our DVD library. Dine outside at your patio table and chairs on your deck or the picnic table on the lawn next to the charcoal and gas grills. The bedrooms each have a queen bed and the couch is a futon to comfortably accommodate up to 6 people, 2 to a bed. There is one full bath with a tub/shower. 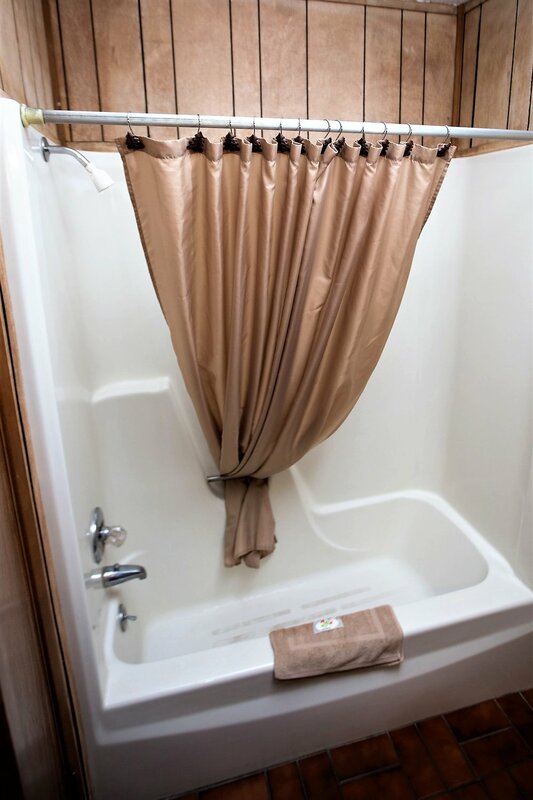 All bath, bed and kitchen linens, bath soap, kitchen soap, paper towels, toilet paper, salt & pepper, coffee filters, trash liners and firewood are provided.